Logical Paradigm offers its employees opportunities to work on exciting and innovative projects that influence the lives of people worldwide. The company is committed to helping employees achieve financial security and improved quality of life. Education and experience required: Masters Degree in Computer. Science, IT, Engineering or related required. Bachelor’s degree with 5 years job experience in similar occupation shall also be considered. Business Intelligence Analyst (Multiple Openings with National Placement out of Fairfax County, VA). Information Technology Project Manager (Multiple Openings with National Placement out of Fairfax County, VA). Management Analysts – Business Methods (Multiple Openings with National Placement out of Fairfax County, VA). Analyze & evaluate. bus. requirements, business process and cost benefit analysis for IT solutions enhancements and/or new features; prepare bus system requirement documents, data modeling; conduct gap analysis; Give inputs for functionality testing, accounting and financial systems; conduct User Acceptance Training, Monitor / provide support after implementation; Required exp in analyzing bus procedures/documenting; conducting testing for client/server applications. Master’s degree in CS/Bus/ Engg/Infsystems/Science/Related with 1 year experience required. May be willing to work on assignments anywhere in the USA. Any suitable combination of education, training and experience is acceptable – bachelors plus 5 yrs experience acceptable. Bachelor’s Degree in CS/CE/CIS/BUS/ENGG/related with 24 months experience required. May take up assignments anywhere in USA. Business Analyst at Herndon, VA. Analyze and evaluate business requirements for businesses in the area of healthcare, insurance, retail and financial systems; Conduct business process analysis and preliminary cost benefit analysis to align IT solutions with business initiatives; Prepare business requirement documents, data modeling and system requirements documents; Conduct gap analysis to cover deficiencies; Process requirements for enhancements and/or new features; Give inputs for functionality testing from business perspective for business, accounting and financial systems; Conduct User Acceptance and end testing, Monitor systems for trouble areas; Provide support after implementation and related job duties. Must have experience in analyzing business processes, documenting business requirements and conducting testing for client/server applications using Oracle, .Net Technologies, Rational, QTP, and WinRunner. 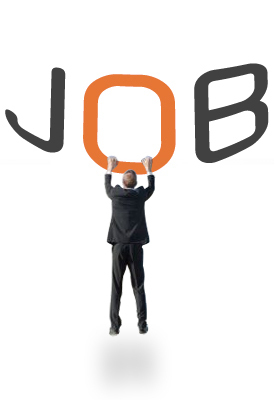 Master's Degree in CS/CIS/MBA/technical descipline/ with 12 months of experience required. Bachelors in Bus/CS/Engg/related/equiv plus 5 yrs experience in job offered acceptable. Mail resumes to HR, 150 Elden Street, Suite 245, Herndon, VA 20170. “Research, analyze, design, code, test, debug, and support software programs and applications. Meet with users to determine business needs and solutions to problems and opportunities. Help ticket solutions. Convert project specifications and statements of problems and procedures to detailed logical flow charts for coding into computer language. Develop and write computer programs to store, locate, and retrieve specific documents, data, and information. May have worked with technologies related to Java, EJB, MVC, J2ME, JDBC, ANT, J2EE,ASP.NET”. Management Analysts - Telecommunication (National Placement out of Sterling, VA, Multiple Positions Available).Requires Masters in Telecommunications. Candidate will gather and analyze data and information to evaluate, and design systems and procedures to improve workflow quality control,quality assurance, and assist management in operatingmore efficiently and effectively.Must have coursework in Network Management,Network Programming and,System Engineering for Telecommunications Management.Must be able to relocate to different client sites as needed. 9-5, 40 hrs/wk.Salary $97,500/year. Responsibilities: Supports endpoint computing devices and associated software for end-users. Responsible for configuration management for all endpoint devices and services. Locates, troubleshoots, and resolves problems associated with endpoint computing. Practices positive customer interaction while resolving end-user issues. Maintains hardware and software inventory information for supported sites. Provides support for network printing and scanning solutions. Responsible for managing the backup media for supported sites. Acts as technical lead for assigned sites. Performs other duties assigned by the Computer Support Services Manager. Which deals with technical problems related to WAN, LAN, Hardware, and software. Required Knowledge, Skills, and Abilities: A customer service-oriented person with knowledge of Windows XP, Windows 7, Mac OSX, various hardware and software applications. Has the ability to work with all levels of employee experience. Minimum Education: Master’s Degree preferred. Minimum Experience: 2-4 years computer experience. Work Environment: Office setting. Will travel to local sites, as required. Any qualifications to be considered equivalents, in lieu of stated minimums, require the prior approval of Human Resources. Masters degree in either Computers, Engineering or any IT related field. Candidate will analyze business and related datawarehousing problems for application of electronic datawarehousing systems.Must have coursework in the following, Object Oriented Software Development,Software Engineering, Computer Networks and Distributed Processes as well as Analytical Models of Operating Systems. Salary $96,600/year. Masters degree must be in Telecommunications with coursework in Data Communications, Networks and also either Data Analysis or Network Security. Will gather and analyze data and information to evaluate and design systems and procedures to improve workflow, quality control, quality assurance and assist management in operating more efficiently and effectively. Salary $96,400/yr. Masters degree in either Computers or Engineering with coursework in Computer Architecture, Work Design/Productivity Engineering, Statistical Design Modeling and Engineering Management. Salary $96,400/yr. Programmer Analysts in Sterling, VA area. Design & develop s/w using .NET framework - C#.NET, ASP.NET, SQL Server, Visual Studio .NET, Visual Source Safe, StarTeam, Web Services, IIS 6.0 & LINQ. Req. a BS or equiv. + 5 years of relevant work exp. or a MS or equiv. + 3 years of relevant work exp. Travel req./reloc. may be req. may be req. Software Engineers in Sterling, VA area. Analyze, design, dev., test, administer, customize & implement IT related apps. Work w/QA, Oracle ERP, PL/SQL, Mercury Test Suite, Parasoft Test Suite, Java, Unix & Perl. Travel req./reloc. may be req. Minimum of Masters in Geology with at least one year IT experience. Candidate will analyze geologic science and related data processing problems for application to electronic data processing systems. Analyze user requirements, procedures, and problems to automate or improve existing systems and review computer system capabilities, workflow limitations. Must have coursework or skills in GIS Software, Computer Modeling, Mathematical, Geostatic, GIS Related Mapping and 3-D Structures and have some knowledge of IT testing tools. Salary $96,600/year. Minimum of Masters Computers, Engineering or any IT related field with at least one year IT experience. Candidate will analyze business and related datawarehousing problems for application of electronic datawarehousing systems. Must have experience with datawarehousing and be able to use Oracle, Oracle Discoverer, Informatica, DB2, and Tidal Enterprise Scheduler. Salary $96,600/year. Minimum of a Bachelors degree in Computers, Engineering, Chemistry, Business or Finance with at least two years IT experience. Will gather and analyze data and information to evaluate and design systems and procedures to improve workflow, quality control, quality assurance and assist management in operating more efficiently and effectively. Must know how to use tools including MS Visio, SQL, Mercury Tools, MS Sharepoint, Oracle and MS Office. Salary $78,600/yr. Minimum of a Masters degree in Computers, Engineering, Chemistry, Business or Finance with at least one year IT experience. Will gather and analyze data and information to evaluate and design systems and procedures to improve workflow, quality control, quality assurance and assist management in operating more efficiently and effectively. Must know how to use tools including MS Visio, SQL, Mercury Tools, MS Sharepoint, Oracle and MS Office. Salary $78,600/yr. Engineering, Physics, Chemistry, Electronics or Mathematics with five years IT experience. Will analyze, design, develop, test, administer, customize and implement IT related applications. Must have skills in .NET and utilizing applications such as VB.NET, ASP.NET, Oracle, MS SQL, XML, AJAX. Salary $114,300/yr. Management Analysts (National Placement out of Sterling, VA, Multiple Positions Available). Bachelor in Engineering, Business or Computers with at least two (2) years experience in Engineering, Business or IT related field. Candidate will gather and analyze data and information to evaluate, and design systems and procedures to improve workflow, quality control, quality assurance, and assist management in operating more efficiently and effectively. Must have experience with design, development processes, workflow, quality control and quality assurance as well as skills in project coordination and management. Strong background gathering data requirements and analysis. Must be able to relocate to different client sites as needed. 9-5, 40 hrs/wk. Salary $78,600/year. Bachelor of Science required with minimum 5 yrs of experience. Will implement knowledge gained from prior work experience. Should have knowledge of Business Strategy, Business Process Analysis, and web technologies like RUP, Agile etc and tools like SQL, PL/SQL, MS Access, SQL Developer, Erwin. Must be able to relocate anywhere in USA. Bachelors of Science required with minimum 3 yrs of experience. Will implement knowledge gained from prior work experience. Should have knowledge of Business Strategy, Business Process Analysis, RUP, Agile, UML Data Analysis, SQL. Must be able to relocate anywhere in USA. Masters in Business Administration required with 3 years of experience. Prior Work experience needed in SDLC, BPMN, Data Analysis, UAT, Business analysis and Design. Must be able to relocate anywhere in USA. Masters or Doctorate in the field of Geology. Must have skills in GIS Software, computer modeling, mathematical geostatic GIS related mapping, and 3-D structure. Experience in testing tools preferred. Must be able to relocate anywhere in the USA. Seeking Computer Systems Analyst who Designs and organizes procedures, business transactions. Document and analyze business processes using process modeling tools, cost-time charts, root cause analysis or other tools. Develops and maintains models of business requirements Used several scanning tools including Vontu and IDE. Active participant in Unit Testing, System Testing and Regression Testing. Minimum requirement is BS plus 2 years experience equivalent. Must be able to relocate anywhere in USA. Must have good Communication Skill, Must have good verbal and written Skill, Prior experience in IT industry a plus, Will be working on Administrative work, and should be able to handle a lot of paperwork and co-ordination with Consultants, Must be a US Citizen, Green Card holder or EAD. Seeks System analyst to write complex PL/SQL packages, procedures, functions, using Oracle features, SQL*Loader, SQL query tuning, UNIX shell scripting. Travel required, Must have MS or BS+5yr exp. Must have good Communication Skill, Must have good verbal and written Skill, Prior experience in IT industry a plus, Will be working on Administrative work, Should be able to handle a lot of paperwork and co-ordination with Consultants, a specialist IT and senior management recruitment professional with some years experience of recruiting for some of the US's largest companies, Must be a US Citizen, Green Card holder or EAD. Masters or equivalent in Information Technology or IT Business Management required with zero yrs of experience. Will implement knowledge gained from prior research or coursework in Business Strategy, Business Process Analysis, web technology. Travel required. Master Degree or equivalent in any Engineering or Computers discipline with zero years of experience required. Will be involved with design, development, implementation and support of RDBMS, Ab Initio, Business Objects, Crystal Reports in production and development environments using Oracle tools. Travel required.